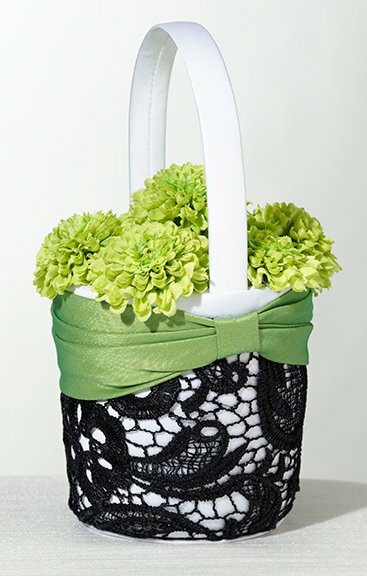 Put a pop of color into your ceremony accessories with this green and black flower girl basket. A classic 7.75" round satin basket is covered in jet black lace, allowing the white satin beneath to peek through. The rim is circled in green satin that is gathered where the handle attached to the basket. 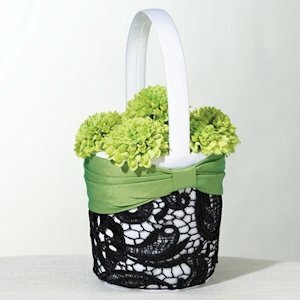 Fresh and fun, this basket is definitely an attention-getter.